Permaculture News Now ...news and tips on sustainable and regenerative green living! Urban Composting - What is a Compost and What are the Benefits of a Compost? Hello! Urban composting - is one of my favourite topics - nothing compares to an earthy smell of a finished compost! What is a compost? Why should we compost at home? "Compost is the oxidative (with oxygen) decomposition of a mix of organic matter." 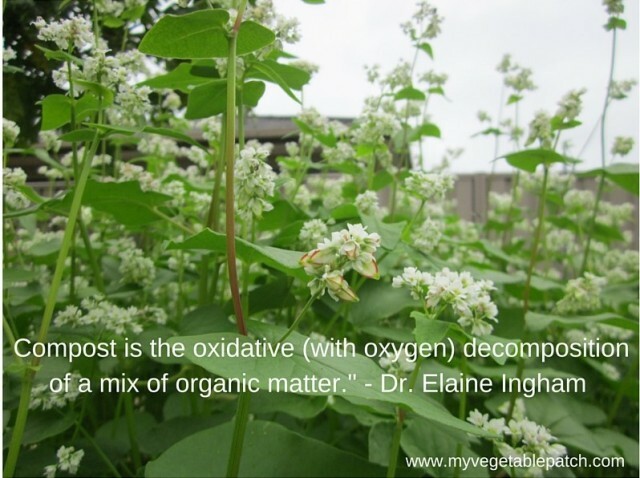 - Dr. Elaine Ingham ... and the emphasis is on the oxidative decomposition. I think anyone who grows food at home should make compost - it's soo much fun and so rewarding!! Healthy soil is the first priority when growing plants of any kind. Helping beneficial microbes and plants to perform their duties as they feed each other (I would call that a perfect relationship) in the root zone. Sustainable way of growing own food, we need to look after life in the soil - and that means we need to give more than we take. We need to make own compost and build a balanced ecosystem in the soil. Compost that has all beneficial microbes in the aerobic (with air) soil environment. Compost doesn't stink - instead it smells like a forest floor. So - how do you make compost in suburban backyard? First you must understand steps you need to take and then ACT. Anyone who is willing to do some reading or if you prefer to watch videos, can learn how to compost. Here's a great video below on Urban Composting with Dr. Elaine Ingham by Valhalla Movement . Composting methods - thermal composting and worm composting. Sourcing starting materials to your compost. C:N ratio (carbon:nitrogen) - how much 'browns','greens' and 'party food' to use in your compost. Optimum temperature and - moisture level in the pile and how to measure them. What is compost leachate, compost extract and compost tea?...and much more. Take a first step on making your own compost at home by watching this video. How To Set A Stage for Growing Your Crop Rather Than Weeds? Why Nutrient Cycling Is Important? Hello! How do you set a stage for growing your intended crop rather than weeds? Why nutrient cycling is important when we are growing food? Weeds love bacteria dominated soils. What can we reduce weed growth in the soil? Organisms in the soil set a stage for different plants to grow. Which stage of succession are your intended plants coming from? It's incredible how these little critters, micro-organisms, have such an important part of our ecosystems. Do you know that the most rapid rates of decomposition is under a blanket of snow...I didn't. What is nutrient cycling? Why nutrient cycling is important in the soil and growing plants? Find out all the answers and more in this next videos from Living Web Farms by Dr. Elaine Ingham, where she goes through the secrets of soil life. I don't know about you, but some stage I have felt like I was only growing weeds. Then everything started come together after educating myself and taking action (a knowledge without action is wasted). Enjoy the videos and happy gardening! Why Do We Rotate Crops - Do We Really Need to Do That? Why Weeds Are Happily Growing Instead of Our Crop? Hello! Why do we rotate vegetable crops? What does it mean and do we really need to rotate crops? Why weeds are happily growing instead of our crop? Why do we need life in the soil? Did you know that there is millions of microorganisms in the teaspoon of a good compost! I find it incredibly exciting. So, what are these millions of tiny organisms doing in our soil? Nature has a specific job for them. Every organic vegetable grower I have spoken with, rotate their vegetable crops. What is a crop rotation? It's about rotating different plant families annually in the vegetable garden beds. Why do we do that? Do we really need to rotate our crops? How to build a right soil structure? Who actually builds structure of a soil? Yup! So many questions. To follow last two videos - here are the next two videos from livingwebfarms by Dr. Elaine Ingham where she will answer all those questions and more...Enjoy! Why Do We Buy Fertilisers to Grow Plants if There is More Than Enough of Nutrients and Minerals Already in Our Soils? Hello! Why do we buy fertilisers to grow plants if there is more than enough nutrients and minerals already in our soils? I remember when I was a kid, we grew some of our food and ornamental plants in our backyard and in the community garden plot. All food we grew, we ate in the short period of time or we made preserves. Nothing got wasted. Any garden or organic 'waste' we composted and the compost was the 'fertiliser' we used in the garden to grow plants. We never bought fertilisers. What is a fertiliser? It's a chemical or natural substance added to a soil to increase its fertility. Soils is the topic that gets me excited - that's probably why I used to play in the mud a lot as a kid :-) I had so many questions in my mind about soils that I decided to research the topic. What is a Soil? Why is it that we buy inorganic or organic fertilisers to grow our plants? Do we actually need these fertilisers? What is it that we actually need to do to retain fertility and water in our soils? Are the fertilisers only 'a band aid' for a short time gain? What happens in the soil when we use these fertilisers? What is it that our soils actually are lacking of and why? Why are we running out of clean water and topsoil? What is happening in our fresh water? After researching a bit I found these videos below from Living Web Farms titled with Life in the Soil with Dr. Elaine Ingham and Life in the Soil with Dr. Elaine Ingham - Soil Food Web - Dr. Elaine Ingham is a microbiologist from www.soilfoodweb.com . Oh boy, did she blew me away with her knowledge - and even she has an academic background - with her easy to understand language. Wow, now more than ever...I really love my compost with those millions of hard working beneficial microbes which are such a crucial part of turning nutrients available to my plants. Wow! It's done. I have finished my Permaculture Design Certificate (PDC) course with Geoff Lawton and ready for the start of the rest of my life. The whole learning experience was incredible and sometimes overwhelming. Anyway, if you are interested in permaculture this video may interest you. It's a video from Happy Dancing Turtle where Geoff Lawton gives a talk on Urban Agriculture. Enjoy! Urban Rainwater Harvesting - "Slow It, Spread It & Sink It!" Hello! Have you ever thought about harvesting rain water in your urban property instead of draining it out of your property? How about recycling your 'grey water' in the garden? What can we do at home to harvest that high quality rain water? How can we recycle a 'grey water' (water used in a kitchen, in a washing machine and in the shower) to save energy and the environment? There are ways to save and recycle water. But there is also a way of re-hydrating the ground and keep our gardens hydrated longer. By using earth works to slow down a flow of water and soak it into the landscape instead of draining it out of your property. When pruning your plants in the garden instead of dumping them, 'chop and drop' plant clippings in your garden creating a mulch which protects the soil from drying out, also recycles nutrients back in the ground and creates a 'heaven' for "happy micro-organisms". Like it is in the natural forest. After doing a little bit of research I found this interesting and informative video from Permasolutions titled with Brad Lancaster: "Urban Water Harvesting Systems". I especially liked triple S's - the way Brad talks about re-hydrating our landscapes - "Slowing, Spreading & Sinking the flow of water, instead of Pave It, Pipe It & Pollute It." Hello! Are you planning to create a permaculture food forest garden? Then you may have heard of this method called 'chop and drop'. A way of mulching your food forest garden. What is Chop & Drop? It's about having a variety of so called 'support' trees (legumes and other fast growing trees) in your food forest and when time is right you prune a whole or a part of the tree in the ground around your fruit trees. In the early stages of your food forest some of your fruit trees are slow growing and need protection from elements such as the sun, wind and rain (hale). Planting fast growing legumes you give needed protection and nutrients for your young fruit trees. The chop and drop method is one of the important steps in caring for your food forest. Here is a fantastic video on Chop & Drop, it comes from EcoOasis titled with How To Chop And Drop In A Food Forest "Living Permaculture" Episode 4 .